Rare UPI press photo twice-signed by Harry Truman, showing the newly elected President holding up the famous ''Chicago Daily Tribune'' newspaper that erroneously proclaimed his defeat. 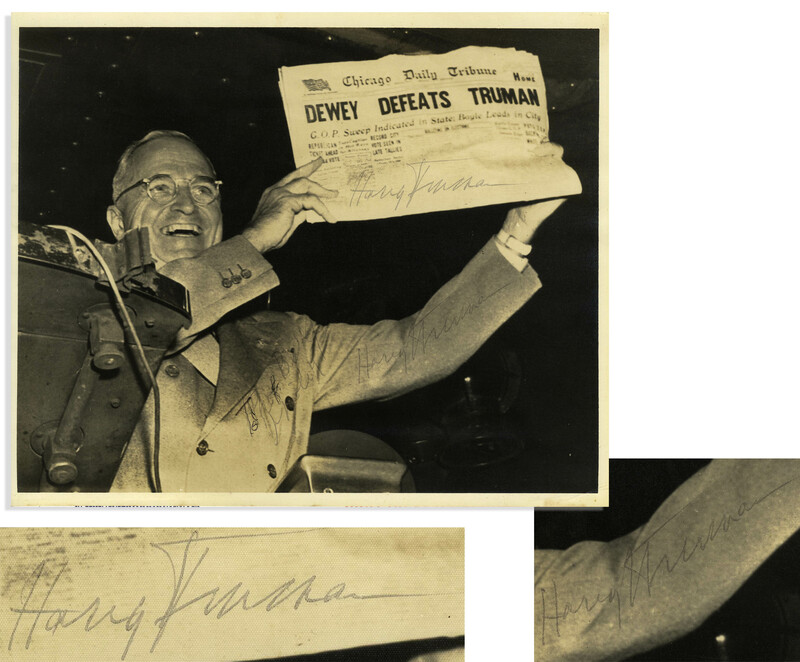 Truman signs ''Harry Truman'' across the white newspaper, and again on his sleeve ''Harry Truman'', where he also inscribes the photo. 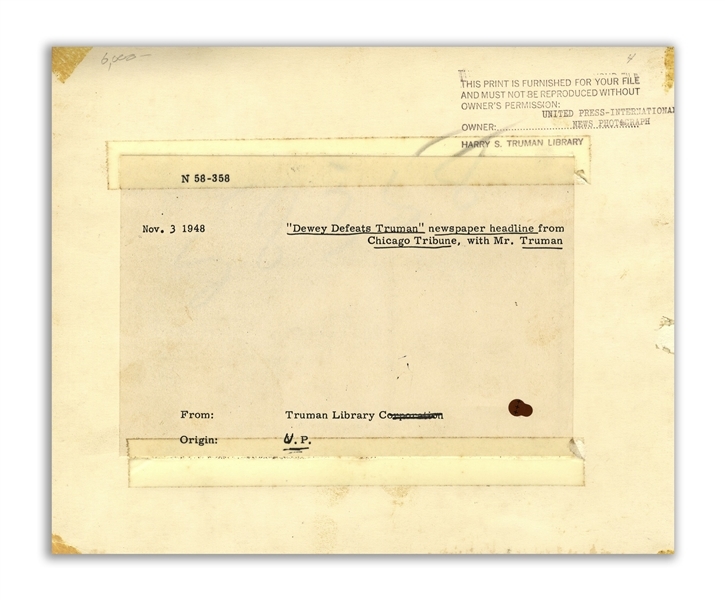 Upon the verso is the United Press-International stamp, transferring the photo to the Truman Library. 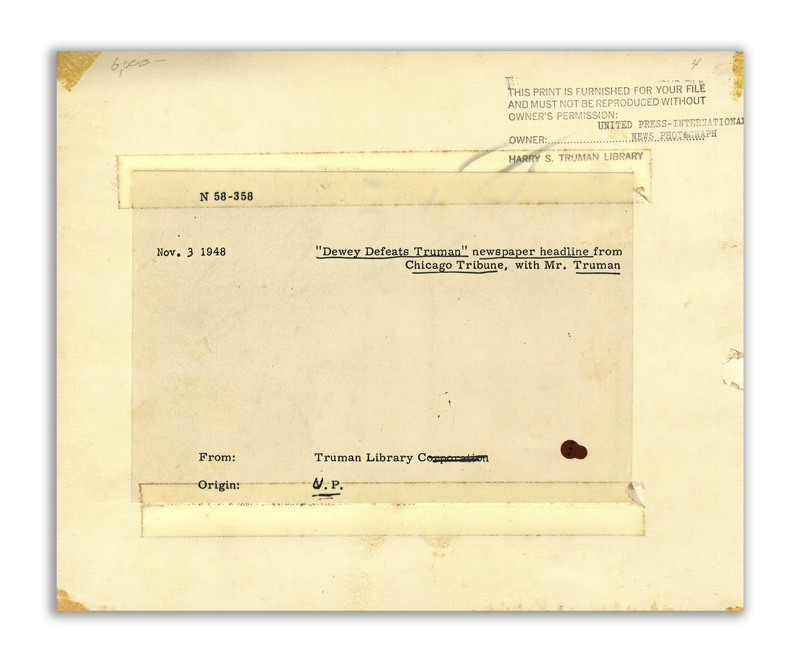 A piece of paper from the Truman Library is also taped to the verso. 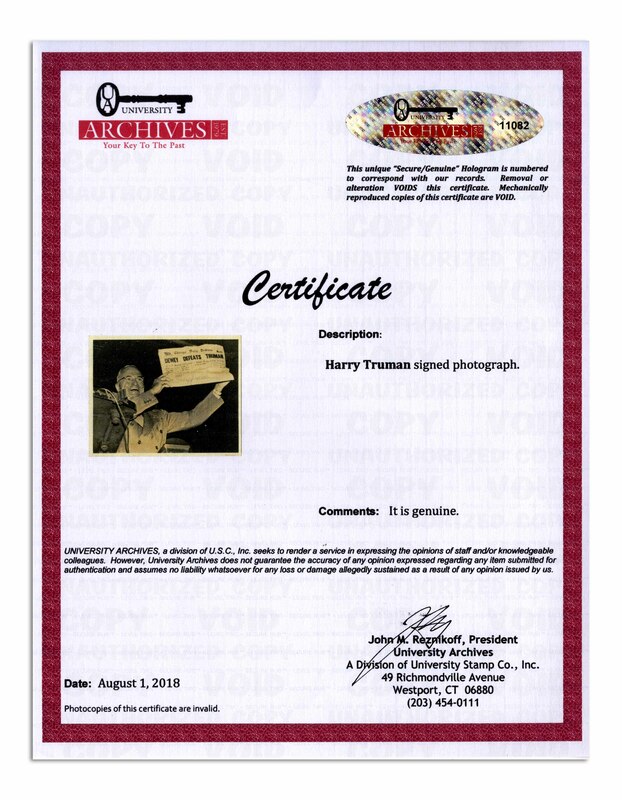 Satin-finish silver gelatin photo measures 10'' x 8''. Mild buckling to lower portion and some fading to black ink signatures, otherwise near fine condition. 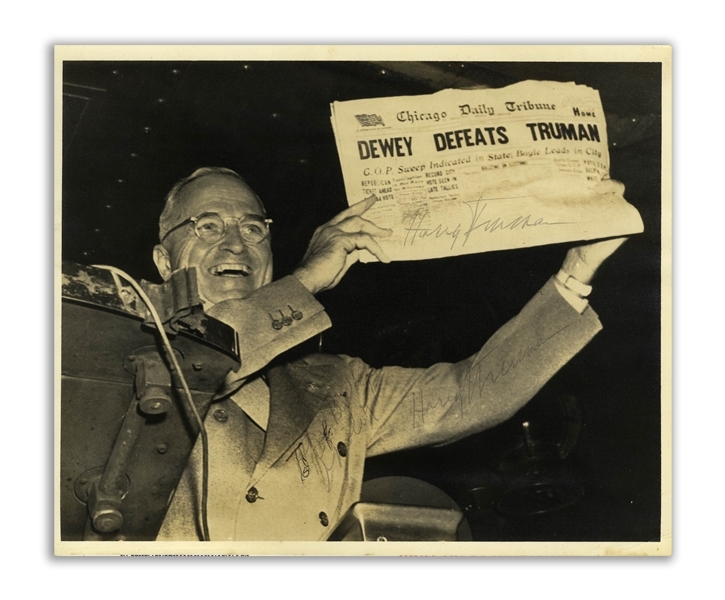 An exceptionally rare photo as signed by Truman. With University Archives COA.